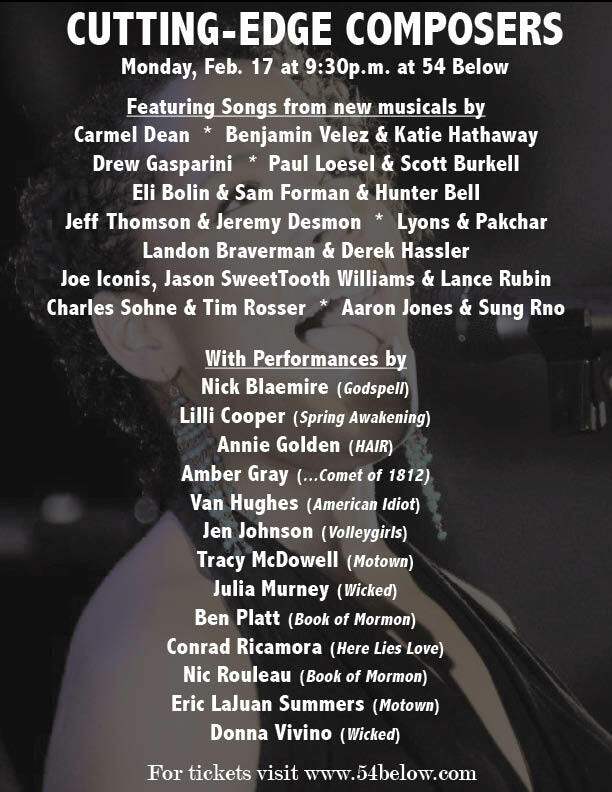 Katie and I are honored to be presenting a new song from our original musical Afterland at 54 Below on February 17th! We'll be showcasing it as part of the latest Cutting Edge Composers concert series with the incredibly talented Van Hughes (American Idiot) performing it. Check out the event here and check back afterwards for a video link. UPDATE: Check out the video from the concert on youtube, not the greatest quality, but Van killed it. Van Hughes performing "Before the End" from the new musical Afterland as part of Cutting Edge Composers V at 54 Below, February 17th 2014.